eMotion Ag’s Simulator mode helps you to optimise your flight plan and explore the functions of your senseFly drone. Just enter the wind strength and direction, then press Play to ‘launch’ your drone. You can view all aspects of your flight as the drone flies its mission. Upload your flight plan wirelessly to your drone. Then shake the eBee SQ three times to start its motor and throw the drone into the air. The eBee SQ flies, captures your required images, and lands automatically. 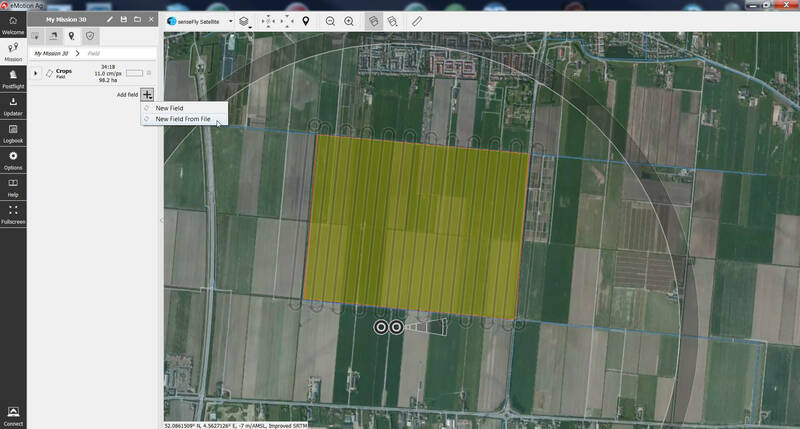 eMotion Ag’s built-in Flight Data Manager automatically handles the georeferencing & preparation of images required for post-processing in software such as Pix4Dag (vastly reducing third-party software compatibility issues). 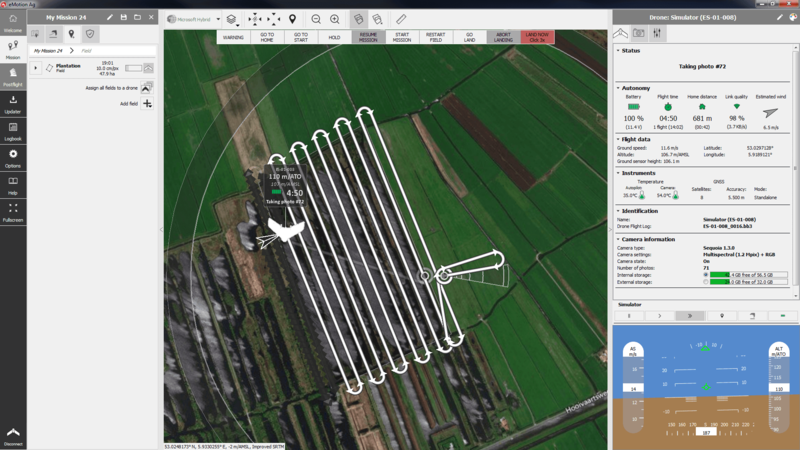 "The eBee series has been a popular choice for farmers, and the biggest selling point is the company's proprietary eMotion software, which makes designing a flight plan incredibly simple. The drone boasts the ability to capture 500 acres of footage in a single flight." 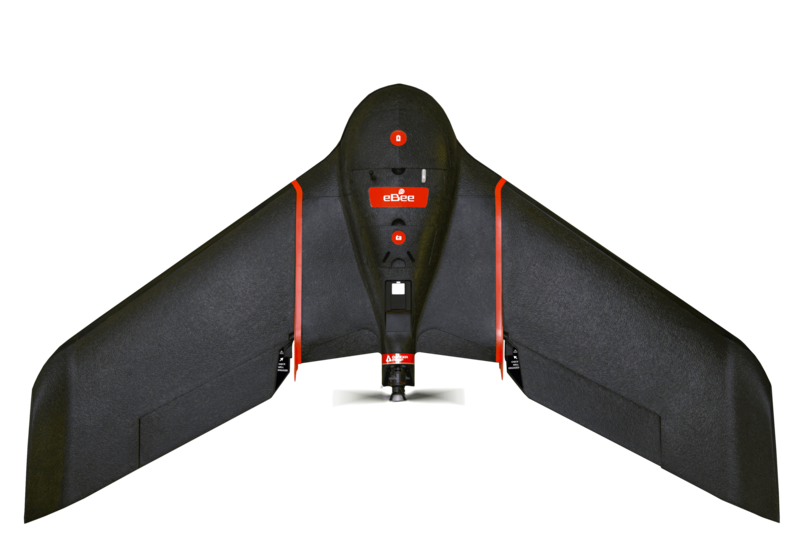 "We were working on an ag UAV ourselves, but when we saw the eBee SQ we thought, 'Well, that drone is already here!'"